'Tis the season to ski, chicly of course, as a collection of new and revamped winter hotels christen mountains from the French Alps to the Western Rockies. Early snowfall means an especially festive start of season in Europe as the French Alps welcomes Four Seasons Megeve in the former private ski chalet of the Rothschild family. The only ski resort on the Mont d'Arbois slopes, the 55-room hotel opening December 15th oozes an aristocratic elegance now home to 2-star Michelin Le 1920 by Chef Julien Gatillon as well as Megeve's first Japanese eatery created by Nobu. Over in Courchevel, look for the stunning expansion of longtime epicurean Chabichou (pictured) into a grand gourmand resort with luxurious 41-room hotel and spa complete with infamous 2-Michelin star restaurant helmed by chef Michel Rochedy. Expect a later start to the ski season in North America where a warmer autumn means less-than-epic snowfall across most of the Rockies. In Colorado, Vail gets two new hotel properties including residence-style The Lionwith one to five bedroom lodgings in the heart of Vail's Lionshead village. There's also the more traditionally luxurious Hotel Talisa that offers 285-room mountainside rooms with spa-style bathrooms, fireplaces and cool grey-and-blue décor with a ski-in/ski-out location onto Vails chair 20. In Aspen-Snowmass, look for a revamped Viceroy eatery by chef Richard Sandoval as well as swish new supper club by LA's The Nice Guy hitting Aspen later this year. 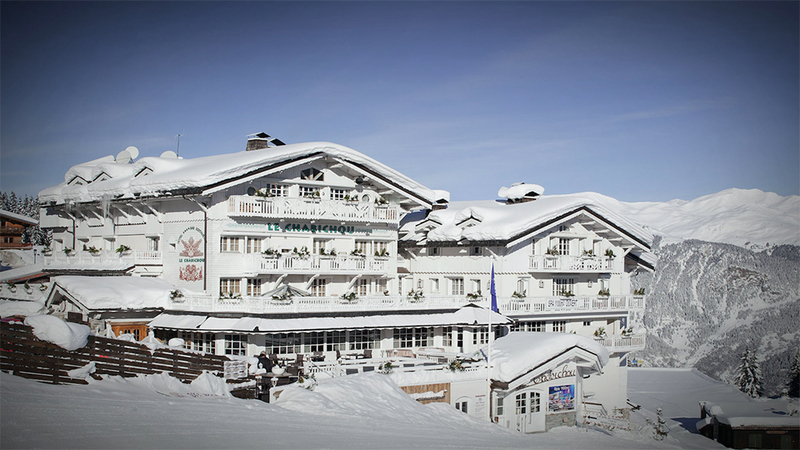 Be sure to also pay long-favored The Little Nell a visit, as the ski-in, ski-out property's guest rooms have just undergone a makeover from Alexandra Champalimaud. And in Telluride, Auberge Residences debuts its latest Element 52 this season that's a glam but private resort with hotel-style amenities like a ski club and concierge, spa, fitness center, and private ski lift almost right up to the peak. Not the only private residences taking to the powder this season, Stein Eriksen Residences in Deer Valley feature 1-5 bedroom residences with heated garages, private chefs and some of the most well designed interiors in all of Park City. In Sun Valley, alas new Limelight Hotel brings a proper address to the long residential-minded ski town. Owned by Aspen Ski Company, The Limelight Hotel looks a lot like its Aspen sibling complete with all-day eatery and lounge, pet-friendly residences and one of the best locations to enjoy the laid-back vibes of Sun Valley. And for those looking to try the newest of the new, The Blake is alas having its moment with the unveiling of its all-new Taos Village with a uniquely New Mexican flavor and new The Blake that's a formidable mountain hotel in the center of the action.